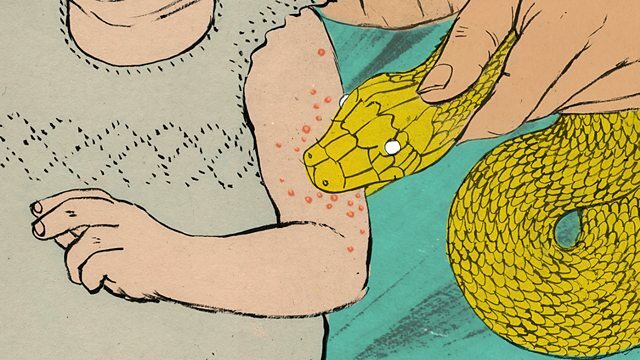 Aleks Krotoski explores why science is being drowned out by Snake Oil online, and how the balance can be shifted to keep desperate people from being exploited. The internet began as a way for academics and researchers to share information and collaborate on projects - it was a boon for scientific discovery. But despite there being more scientific information online than ever, in the modern day the power of the internet has completely flipped. Verified science and medicine are crowded out by a plethora of misinformation and snake oil salesmen. From the relatively harmless quackery such as infrared light treatments or ‘wellness’ focused diets, to conspiracy theories around vaccinations that are influencing political policy, and have resulted in outbreaks of dangerous, preventable diseases across the world - what is happening online is having a tangible impact across the globe. Aleks Krotoski explores how the infrastructure of the internet allows medical misinformation to thrive, finds out how people can be drawn into communities centred around medical misinformation and conspiracy theory, and how both scientists and every day internet users can redress the balance online. She tells us about the Scientists who Selfie project, and how scienctists can struggle to communicate with people due to how they have been perceived by the general public - as competent, but lacking warmth. Britt Marie Hermes is a former naturopath and current PhD candidate in evolutionary genomics at University of Kiel and Max Planck Institute for Evolutionary Biology. She shares her story of how she became a naturopath, only to discover the treatments could be damaging the very patients she was trying to health and now uses her time, and knowledge of the ways people can be drawn in by so called ‘alternative treatments’ to tell the truth about the practice, and save people from being exploited. Myles Power is a professional chemist and Youtuber and a co-host on the League of Nerds Podcast. Over the years he has gained a reputation for debunking, and occasionally sampling, quackery online. He tells us about debunking some of the worst and most dangerous examples of Snake Oil online - includes AIDS denialists, so called cancer cures that burn and maim people, and bleach marketed as an autism cure - how quacks can manipulate social media algorithms, and how to reach people who are desperate to believe in a treatment that is in fact damaging them. Caroline Rance runs The Quack Doctor, a website that explores the history of advertised health products (which might or might not have been considered ‘quackery’ in their time), health fraudsters and any out-of-the-ordinary medical happenings. Caroline takes us through the strange and theatrical history of Snake Oil, and how it’s been sold throughout the centuries. She shares her insights into the social dynamics of, and conversations within, anti-vaccination communities in social media.